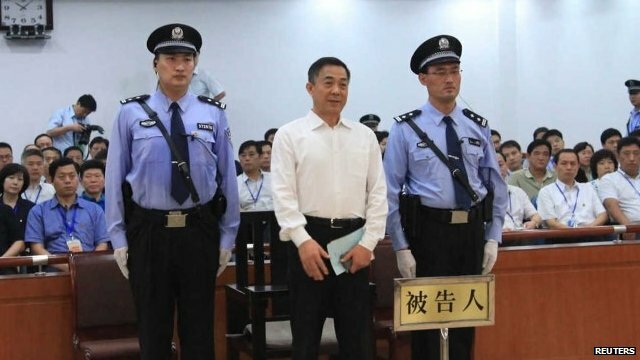 BBC: “A Chinese court has found disgraced former top politician Bo Xilai guilty of bribery, embezzlement and abuse of power. The former party chief of Chongqing was sentenced to life imprisonment, but has the right to appeal. He had denied all the charges against him in a fiery defence at his trial. Bo was removed from office last year amid a scandal which saw his wife convicted for the murder of British businessman Neil Heywood. The verdict was handed down by the Intermediate People’s Court in Jinan, Shandong province. Passing sentence the judge told Bo that he had damaged China’s national interests and the interests of its people, wrongfully using his position in power to receive bribes totalling 20 million Chinese Yuan ($3.2m; £2m). He rejected Bo’s claims that his confession to the crimes was acquired through illegal means such as torture and interrogation, and said it therefore stood. The BBC’s John Sudworth, outside the court, said that the judge completely demolished Bo’s defence arguments. During Bo’s trial last month the court took the unprecedented step of releasing details about proceedings on its Weibo microblog. The curtains appear to have finally dropped on Bo Xilai’s once-glittering Communist Party career. Bo can appeal against the trial verdict and his life sentence, but it is highly improbable he could engineer a future in which he re-enters China’s political arena. He has been stripped of all political rights for life. Of course, Bo can apply for release on parole after 10 years. Other convicted politicians were released from prison after serving only part of their original sentences. Chen Xitong, a former Politburo member, was released on medical parole after serving half of his original 16-year prison term. However, Bo Xilai is 64-years-old. Even before his political downfall, he was moving towards the final chapter in his career. It is difficult to envision a scenario in which he can quickly revive his populist power base, even if he gains an early release from prison. 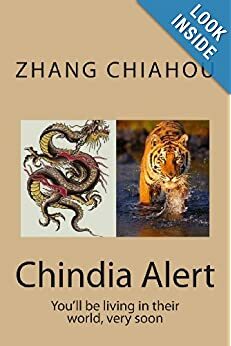 It is difficult to make predictions in the world of Chinese politics. 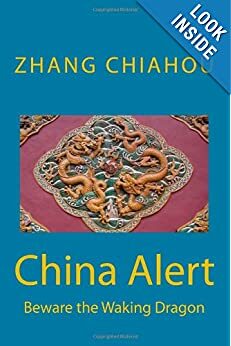 Two years ago Bo appeared to be poised to move into Zhongnanhai, the government compound in Beijing were China’s top leaders reside. Now, he will spend the foreseeable future inside a prison cell. Bo was sentenced to life in prison on the bribery charges, 15 years for embezzlement and seven years for abuse of power – our correspondent says that he has been politically buried. In addition all his personal wealth has been confiscated. He has 10 days to appeal against his sentence and conviction, but correspondents say that any such move is highly unlikely to be successful. Although his trial was conducted under an unprecedented degree of openness for China, many analysts say that the guilty verdict was always a foregone conclusion – and many see the process against him as having a very strong political dimension. Prosecutors had said that Bo accepted the bribes and embezzled public funds from Dalian, where he used to be mayor. He was also accused of abusing his office by using his position to cover up for his wife Gu Kailai, convicted last year of murdering Neil Heywood in 2011. In lengthy comments in court, he said he did not illegally obtain millions of dollars or cover up Mr Heywood’s killing. He also dismissed the testimony of two key witnesses, describing his wife’s statement as “ridiculous” and his former police chief Wang Lijun’s testimony as “full of lies and fraud”. via BBC News – Bo Xilai found guilty of corruption by Chinese court. Reuters: “China’s ruling Communist Party might insist that the murder charge against Gu Kailai, the wife of ousted Politburo member Bo Xilai, is a simple case of all being equal before the law, but winning over the jury of public opinion is proving tough. Since China’s last big political scandal — the purge of Shanghai party chief Chen Liangyu in 2007 — its citizens have flocked to sign up to the Twitter-like microblogging site Sina Weibo, ensuring this time there will be lively public debate about the case against Bo and Gu, despite tight censorship. In its first official statement on Gu’s case since April, state news agency Xinhua ran a brief report last week saying China will try Gu on charges of murdering a British businessman. The news spread rapidly on Weibo. While state media generally stuck to reprinting that story, the influential tabloid the Global Times on Friday wrote an editorial warning nobody was above the law. But that is a line the party is going to have a hard time convincing people is true, as suspicion swirls that populist politician Bo and his wife Gu are victims of a power struggle — and no more corrupt than other Chinese leaders. via Bo wife murder charge vexes skeptical Chinese | Reuters. NY Times: “A heavyweight crowd gathered last October for a banquet in Beijing’s tallest skyscraper. The son of Mao Zedong’s immediate successor was there, as was the daughter of the country’s No. 2 military official for nearly three decades, along with the half sister of China’s president-in-waiting, and many more. Most surprising, though, was the reason for the meeting. A small coterie of children of China’s founding elites who favor deeper political and economic change had come to debate the need for a new direction under the next generation of Communist Party leaders, who are set to take power in a once-a-decade changeover set to begin this year. Many had met the previous August, and would meet again in February. The private gatherings are a telling indicator of how even some in the elite are worried about the course the Communist Party is charting for China’s future. And to advocates of political change, they offer hope that influential party members support the idea that tomorrow’s China should give citizens more power to choose their leaders and seek redress for grievances, two longtime complaints about the current system. But the problem is that even as the tiny band of political reformers is attracting more influential adherents, it is splintered into factions that cannot agree on what “reform” would be, much less how to achieve it. The fundamental shifts that are crucial to their demands — a legal system beyond Communist Party control as well as elections with real rules and real choices among candidates — are seen even among the most radical as distant dreams, at best part of a second phase of reform. In addition, the political winds are not blowing in their favor. The spectacular fall this spring of Bo Xilai, the Politburo member who openly espoused a populist philosophy at odds with elite leaders, offered an object lesson in the dangers of challenging the status quo. And official silence surrounding his case underscores high-level fears that any public cracks in the leadership’s facade of unity could lead its power to crumble. As a result, few people here expect the party to willingly refashion itself anytime soon. And even those within the elite prepared to discuss deeper changes, including the second-generation “princelings,” as they are known, have a stake in protecting their own privileges. To Mr. Zhang and others, this is the conundrum of China’s rise: the autocracy that back-flipped on Marxist ideology to forge the world’s second-largest economy seems incapable of embracing political changes that actually could prolong its own survival. Much as many Americans bemoan a gridlocked government split by a yawning partisan gap, Chinese advocates for change lament an all-powerful Communist Party they say is gridlocked by intersecting self-interests. None of the dominant players — a wealthy and commanding elite; rich and influential state industries; a vast, entrenched bureaucracy — stand to gain by ceding power to the broader public. Many who identify with the reform camp see change as inevitable anyway, but only, they say, because social upheaval will force it. In that view, discontent with growing inequality, corruption, pollution and other societal ills will inevitably lead to a more democratic society — or a sharp turn toward totalitarianism. via As China Talks of Change, Fear Rises on Risks – NYTimes.com.